Hurtigruten offers amazing experiences of nature in remote corners of the world. These expeditions are based on our unique 125-years heritage and served by our fleet of advance, intimately-scaled expedition ships. When people want to see places off the beaten path, you should sell them an expedition with Hurtigruten. Choose from different itineraries, ships and tailor-made journeys designed to fit every explorer. Why do business with Hurtigruten? 2. With 125 years of know-how sailing in polar waters, we create an unrivalled experience in Antarctica and the Arctic. The fleet, which consists of 16 ships with sizes ranging from 120 up to 600 berths, are all purpose-built to navigate safely and comfortably under extreme conditions from Pole to Pole. 3. We're an industry leader in sustainability and the pioneer in polar waters, sailing using hybrid electric technology. This supports our deep commitment to preserving polar waters and the destinations we visit. 4. 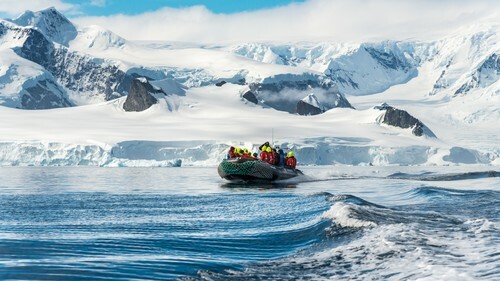 We're continually customising our expedition experiences to appeal to travellers seeking to connect with their inner explorer. Our expedition teams are the best in the industry and have a great influence over the itineraries based on their vast experience. 5. Our guests reward us with extraordinary reviews. Our Net Promoter Scores are extremely high. This results in loyal clients who will return to book future expeditions with you. 6. 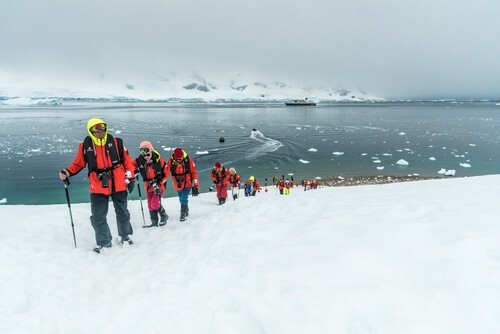 Our expedition cruises are an exceptional value. Your clients will have memorable and life-affirming encounters with nature, wildlife and culture far exceeding their investment.